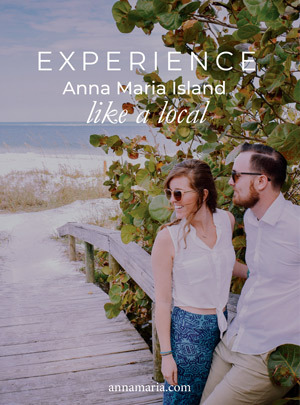 Location is everything when you are on vacation, and Anna Maria Island is no different. Its proximity to the top gulf coast Florida attractions is a bonus that only adds to the appeal of Anna Maria Island. Here are some of the top Gulf Coast destinations that are a must see when visiting Anna Maria Island. Busch Gardens is located in Tampa, Florida and is about an hour outside of Anna Maria Island. This theme park offers thrill rides, African animals, live entertainment, and kid-friendly attractions. Busch Gardens is the place to let loose and have some fun while you scream at the top of your lungs from rollercoasters like the Cheetah Hunt, Montu, SheiKra, and Falcons Fury. They even have water rides if that is your thing. Visitors of all ages can enjoy Busch Gardens and make memories to last a lifetime. Salvador Dali Museum is located near the Gulf in St. Petersburg, Florida and is a must see to put on your to-do list. This museum houses the most comprehensive collection of Salvador Dali pieces which is approximately about 2000 pieces collected throughout the years by a private collector. The Dali museum is something everyone must see and if you’re on Anna Maria Island, why not make the trip across the bridge and experience a little bit of art history. Fort Desoto Beach is about 50 minutes away from Anna Maria Island and is a historical part of St. Petersburg that complete with beautiful beaches, a historical fort, a fishing pier and lots of wildlife. Although Anna Maria Island has plenty of famous beaches for you to visit, Fort Desoto beaches are nothing like those. Fort Desoto offers its own unique sandy experience that everyone should have if they are in the area! Sarasota is about thirty minutes away from Anna Maria Island and is home to a lot of adventures you could have while staying on the Island. Sarasota is home to John and Mable Ringling Museum of Art which allows you to see the circus anytime you feel like it. Appropriate for all ages, you can watch circus performers walk the infamous wire, squeeze the impossible into a clown car, and see the tiger in person. Along with entertainment, you can catch a bit of history through the Ringling archives which are held in the Circus Museum’s Tibbals Learning Center. These files include the Ringling Collection, John Ringling’s Papers and the Circus Collection. Where else can you get some education along with entertainment for your entire family? If you have children, Mote Marine Laboratory and Aquarium is a must see. However, all ages can enjoy the ocean life here. The Mote Marine Laboratory has been open since 1955 and currently is home to over 100 marine species. They also have a seahorse conservation lab and an extraordinary shark habitat. Mote Marine Laboratory and Aquarium allows the children to touch the starfish and feed the stingrays. Visiting the aquarium will help you understand aquatic life a lot more while allowing you to have a fun experience.